This is also another country I love to visit and have been to twice. People think that it is rather dangerous to go there and especially if you are female and travelling alone. It’s no more dangerous than any other South American country. My first visit was to Cartagena on the Caribbean coast in the north and my intention was to stay for 3-4 days and I ended up staying for 9. I was right on the beach in the area called Bocagrande. It was here that I met a lovely young Colombian couple on holiday themselves from Bogota. I went to visit them again this year in Bogota. Next month I am going back to attend their wedding. The Old City of Cartagena is surrounded by a wall which you can walk. In one corner before a bridge there is a very neat night club, and it’s very popular to. Many Americans have brought homes within the old city and have done a great job of restoring them. They are painted all the colours of the rainbow and it is a nice place to walk around to see them all. There are also lots of cafes to sit and have the best coffee in the world. After all my travelling I think theirs is the best coffee. Of course Colombia is the place to buy emeralds (unless you go to Indonesia or India where they are so cheap). Buying emeralds here means you will get a certificate of authenticity and from what mine they came and when. I brought several rings for family members and myself and then a very rare Tourmaline ring. Throughout Colombia there is no problem finding ATM’s or internet cafes. Bogota is worth a visit but probably even more so if you have someone to show you around. There is Moserrat high up on a hill which is reached by cable car. This gives you a fantastic view over the city. There is a good bus system in Bogota, you just have to work out where you want to go and what bus to take. My friends took me outside of the city. We went past a big lake and then to some very high waterfalls. Sadly all the sewage from Bogota goes into this lake then over the falls. We then wound down into a very green valley and had a traditional Colombian meal for lunch. It was so tasty. When in Bogota go to the gold museum. It shows the history of gold and its uses in Colombia. You can walk to the cable car to go to Monserrat from the centre of town if you like walking. Alot of taxi drivers understand a little english. I have found them to be honest and friendly. If you fly into Bogota don’t change your money at the money exchange there. They absolutely rip you off. When you come out from picking up your bags you have to walk right past them. Keep going, go left once outside and go to the departures check- in area. Go up the stairs and go left. There you will find an ATM. Go to the Emerald trading house. Here you can view raw emeralds of all colours and sizes. I could spend hours looking at them. Not far out of Bogota you can go to places where you can pick your own strawberries. Your hostel or hotel might be able to help you on how to get there. I was taken by my friends in their car. Colombia is very cheap because of the exchange rate so get out your money and spend. It will go a long way. They have good fashionable clothing and leather goods. I have not yet visited all the other main cities but intend to. 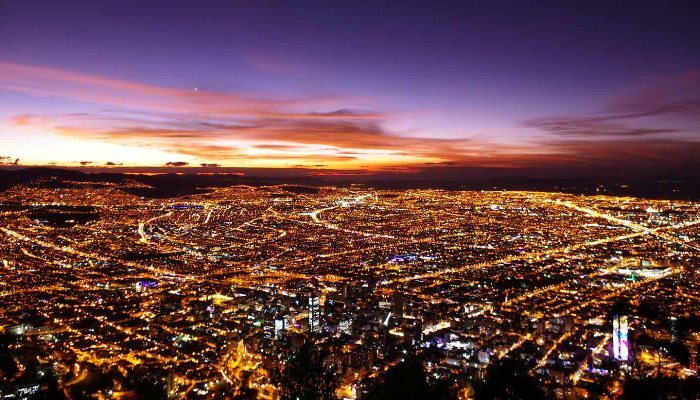 Friends have been to Medellin and from all accounts it is a nice safe place to go. Walk the city wall of Old Cartagena. Do a day trip to Rosario Island when in Catragena. Cartagena has a big port and lots of cruise ships calling in. You can catch a small sailing boat from Cartagena to Panama. If you go to Club Nautica in Manga they will put your name on a list.